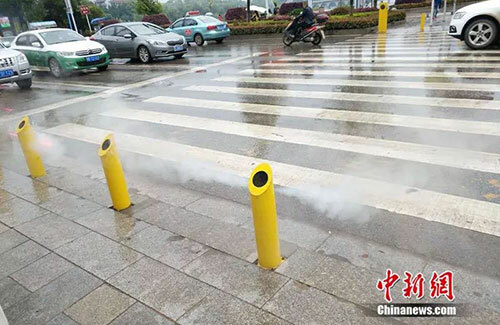 China has installed a new system that will spray water to stop people from jaywalking in the city. 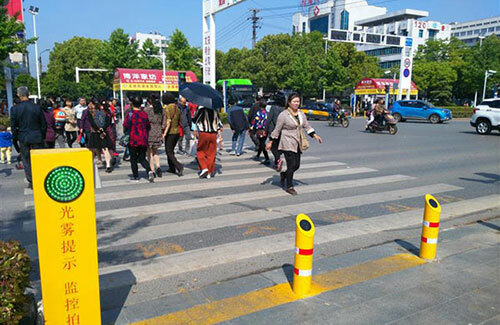 The yellow bollards, fitted with facial recognition technology, were set up at two sides of the crossings that could spray water whenever detected any person walking past the posts. 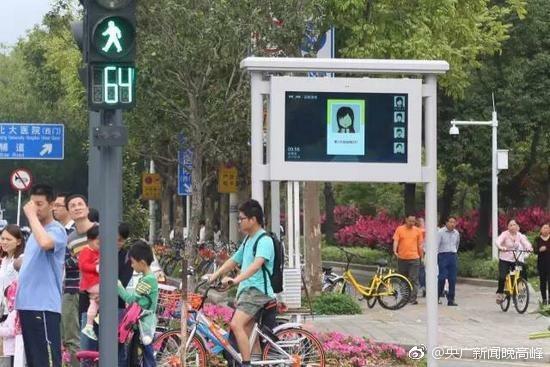 The technology is the latest technology invested in a bid to catch pedestrians crossing red lights. 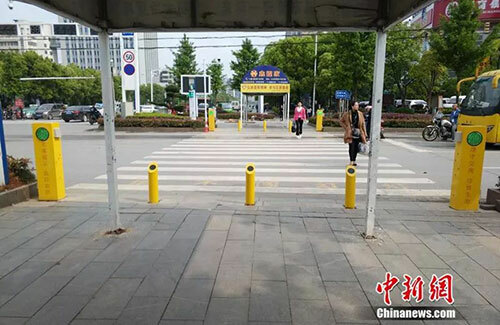 Video emerged online showing four yellow bollards, measuring 1.6 foot tall, set up at the pavement in Daye of Hubei province. 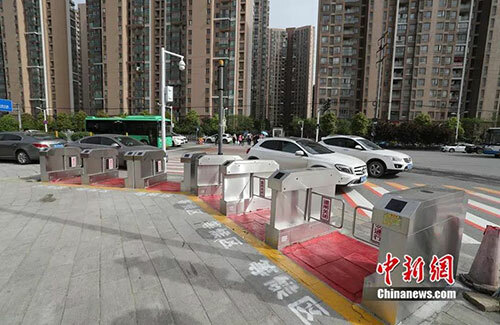 Connected to the traffic system, the bollards can remind the pedestrians when the lights are changing. 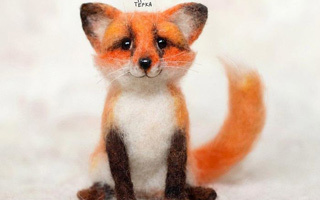 'It is now green light, please cross and be careful,' the voice message plays. The bollards are equipped with lights and water sprays. Some pedestrians got scared when the water sprayed at their feet. 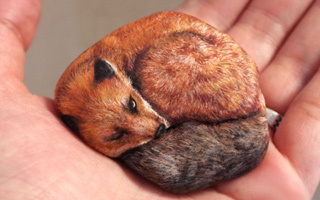 But some seem to be curious to test the effectiveness of the system. 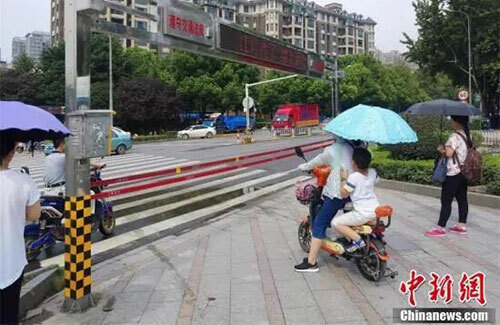 According to Xinhua, the posts will spray water mists when a person attempts to cross the red light. 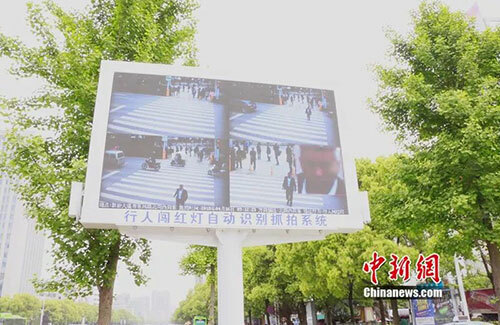 Any jaywalking offenders will have their face snapped onto a large display screen near the crossing. 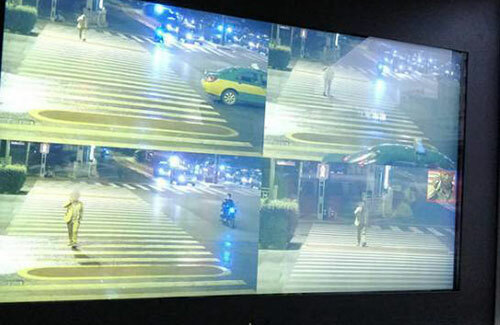 Traffic police officer, Wu Jin, told the reporter that the system is still under running as a test. Officers will have to assess the results and decide whether or not to use it in the Daye city.